Jordan Harbinger has always had an affinity for social influence, interpersonal dynamics, and social engineering. He helps private companies test the security of their communications systems. He has started a podcast way before it was the trendy thing to do. His podcast Art of Charm created a great platform for his business model – selling the Art of Charm Academy. 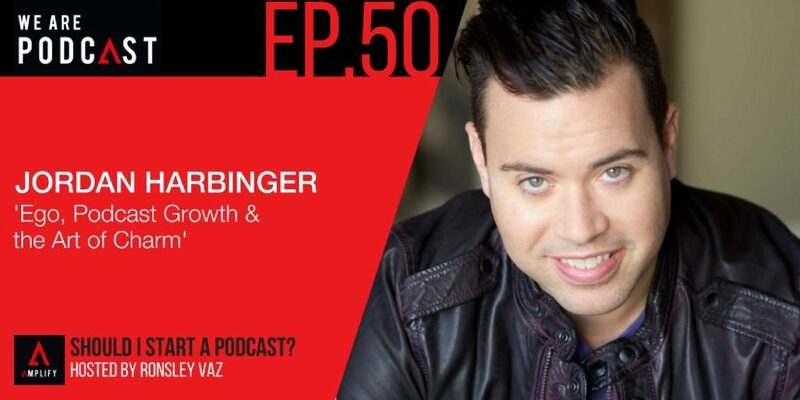 Forbes named him one of the 50 best relationship-builders anywhere and Inc. Magazine calls him “the Charlie Rose of Podcasting. Jordan has spent several years abroad in Europe, the developing world, including South America, Eastern Europe, and the Middle East. He also speaks five languages. He has also worked for various governments and NGOs overseas, traveled through war zones, and has been kidnapped… twice. What are the first mistakes that podcasters usually make? “We didn't look at our podcast measurement for five years because it was irrelevant. It just didn't matter. It was low, unpredictable and business was whatever it was. Last mean on the planet? “I'd go to Joe's Stone Crab in Las Vegas. I love that place”.